Game Day - Geaux Tigers! Epiphanie - the maker of the most gorgeous camera bags out there - is turning one. So it's time to wish them a happy birthday! 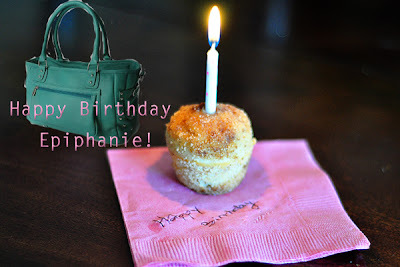 How about a cinnamon sugar birthday breakfast muffin to celebrate?